For those who know me well, it’s no secret that I love the color black. Seriously, I loooovvvvveeee it. It’s in heavy rotation in my closet. It’s peppered throughout my home. It’s how I take my coffee. Nothing makes my heart happier than a black brick fireplace set against bright white walls. In fact, I have this exact scenario happening in my own living room. Paired with natural wood floors, this color choice is a no-brainer. Black ceilings, anyone? I know, sounds a little scary when you just say it but seeing is believing. 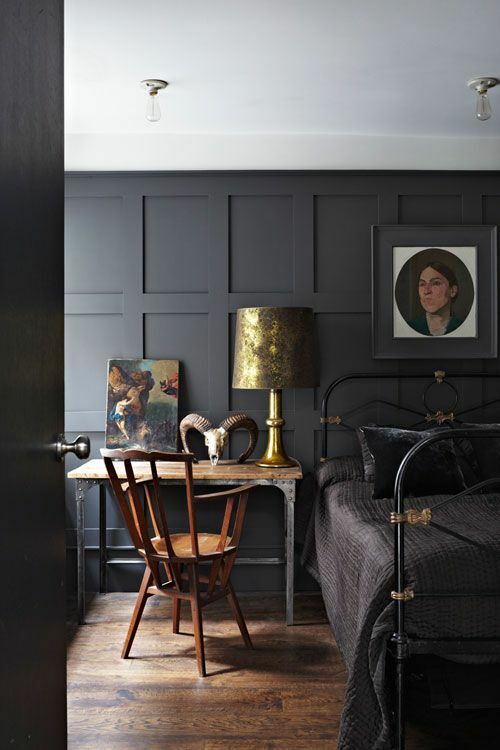 Personally, I think this is a great choice for basements, considering dark ceilings help to create a cozy, den-like feel. 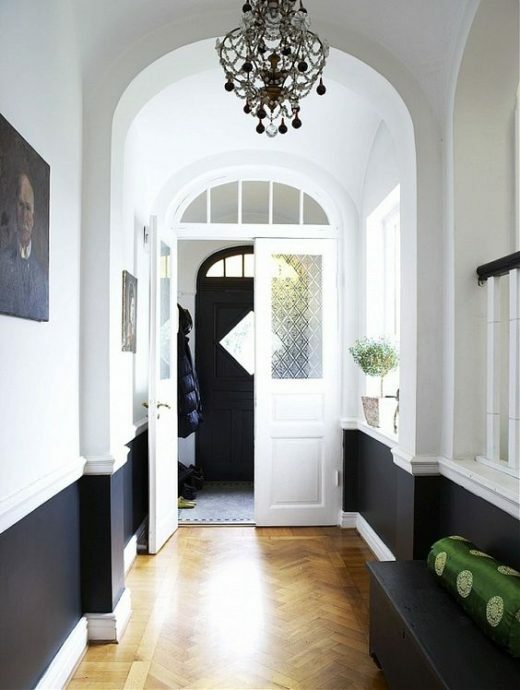 Two recommendations when going this route: keep the walls white and the floors light. Yes, black can work in a bathroom! Even a small one, at that. Just be sure that you have adequate lighting from a well-placed window. White and brass accents are a must. 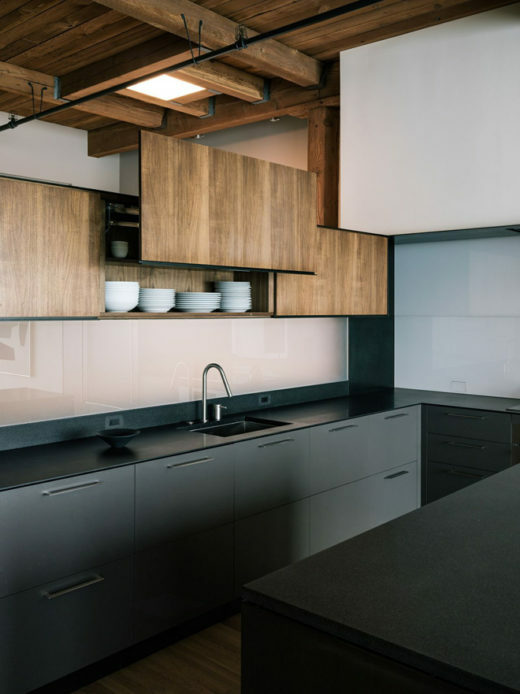 I’ve never met a black kitchen cabinet that I didn’t like. 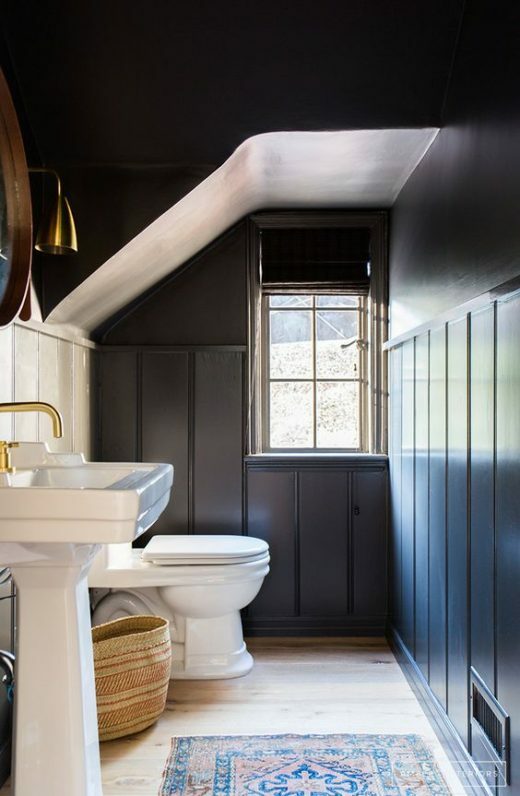 In a high-traffic zone notorious for spills, stains, and fingerprints, black is honestly one of the best color choices out there. Plus, it just looks SO darn good with other natural wood elements. This. Entryway. 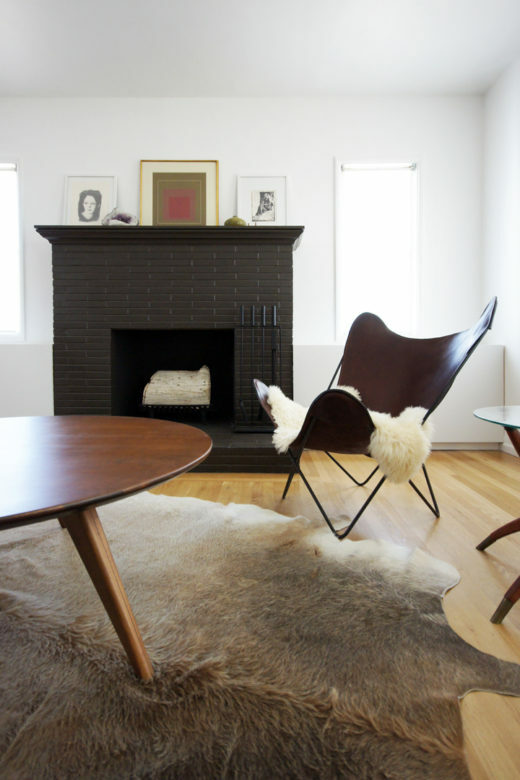 Using a contrasting black under the chair rail is a brilliant move. And don’t even get me started on that black door. The result is unexpected, yet so very sophisticated. Heart emojis, all the way.